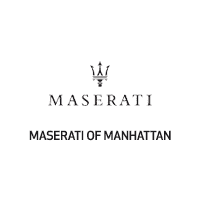 If you’re planning to customize your Maserati vehicle so that it bears an even closer connection to your personality, need to repair your Maserati, or you are simply looking to replace a part that has worn out, you can count on us to help you find the right genuine Maserati part to do the job. Our parts center is stocked with all sorts of quality original equipment manufacturer (OEM) auto parts in New York and our knowledgeable team is available for both advice and automotive service. OEM Maserati parts come from the same manufacturer that brought you your beloved vehicle. The same attention given to every exquisite detail in your car is also paid to OEM parts, guaranteeing a level of quality and protection that off-brand parts can’t touch. These tailor-made OEM parts are designed to suit only your type of vehicle and supply a perfect fit that you won’t find with a one-size-fits-all part. OEM parts are also protected by limited warranty coverage. This isn’t always true for off-brand parts. What Happens If I Use Off-Brand Parts in My Maserati Vehicle? With any luck, nothing noteworthy, but off-brand parts carry many potential risks ranging from safety hazards to cracks in your car’s warranty. Using an off-brand part in your vehicle is sort of like using an organ in a transplant without checking to make sure the donor is a match; it might work just fine, it might cause severe complications, or it might fail altogether. It’s a game of roulette that could end up costing you more money in the long run if you end up having to fix the same problem twice.